From the Algologie Algo Essentials Range. 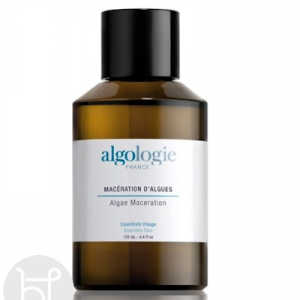 Algologie Algae maceration in a small size 30ml. Concentrated seaweed solution for all over the body providing essential vitamins and minerals to the skin. If you would like further information you can have live chat with Venessa. A thick brown liquid with an oily feel although it contains no oil. Natural algae fragrance. This maceration is the fundamental treatment in achieving a skin that is healthy, balanced, hydrated and stimulated. 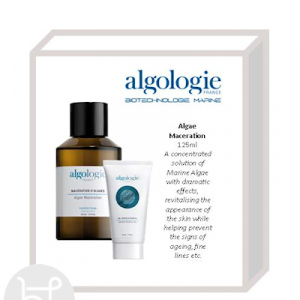 Algae Maceration is composed of 100% natural Fucus Extract. 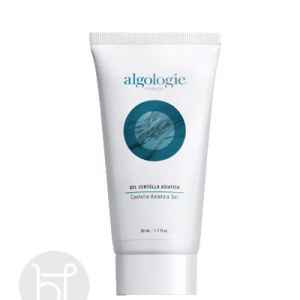 Its fluid texture (glycolic extract) allows a high concentration of active marine ingredients and ensures rapid penetration and diffusion into our skin cells. 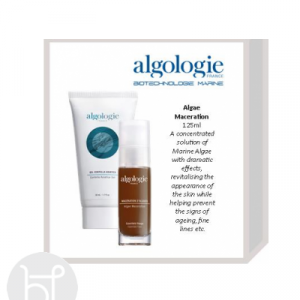 Algae Maceration is recommended for all types of skin and for both face and body. Fucus Extract: Rich in natural macro and micro-elements, minerals, amino acids and vitamins, with all the benefits listed above. Apply to the face and body before moisturisers or body milk.